Got some rusty outdoor patio furniture? Don’t Replace it- Re-coat it! 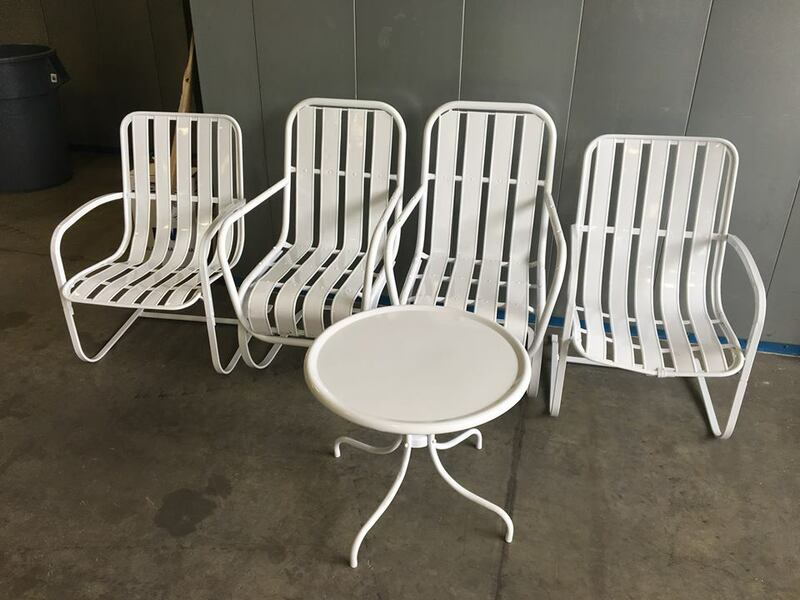 Stop in at our facility on any given day and there is one item you are almost guaranteed to see, and that is patio furniture. 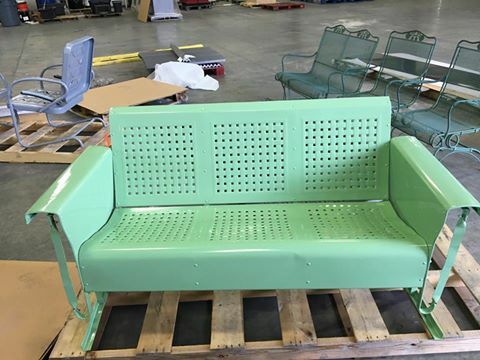 We probably refinish more patio furniture than any other power coating facility in the state of Virginia. 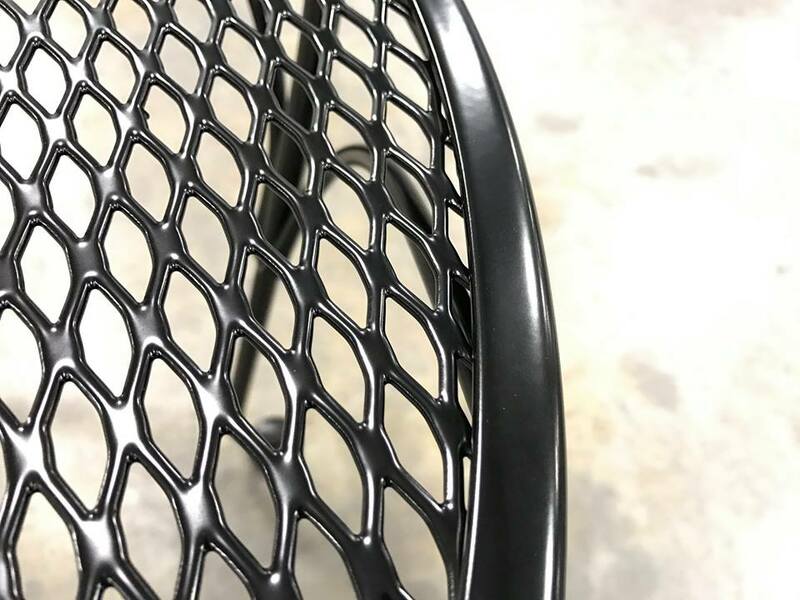 At Hanover Powder Coating, we constantly strive to provide the best finish for our customers who are seeking durability, appearance, and of course, value for their patio furniture. A quality and durable finish on your patio furniture requires impeccable pre-coating preparation. Without good surface preparation, no refinishing process will last. There is absolutely no way to get a good-looking, durable finish on anything without the right surface preparation. Surface prep on outdoor furniture accomplishes two things. First, done correctly, it gets the surface completely free of contaminants such as oils, dirt and loose paint. Secondly, good prep work will increase the surface area to be painted. We use sandblasting to ‘rough up’ the surface. On the microscopic level, this creates mountains and valleys on the surface, which increases the adhesion of any subsequent coatings. No matter what type of coating comes next, if the surface isn’t clean and rough, it will not last. Great surface prep is key to the durability of our process. Certainly you could sand, grind, and scrape all the old finish off your patio furniture and do it yourself. But frankly, who has the time to do that? 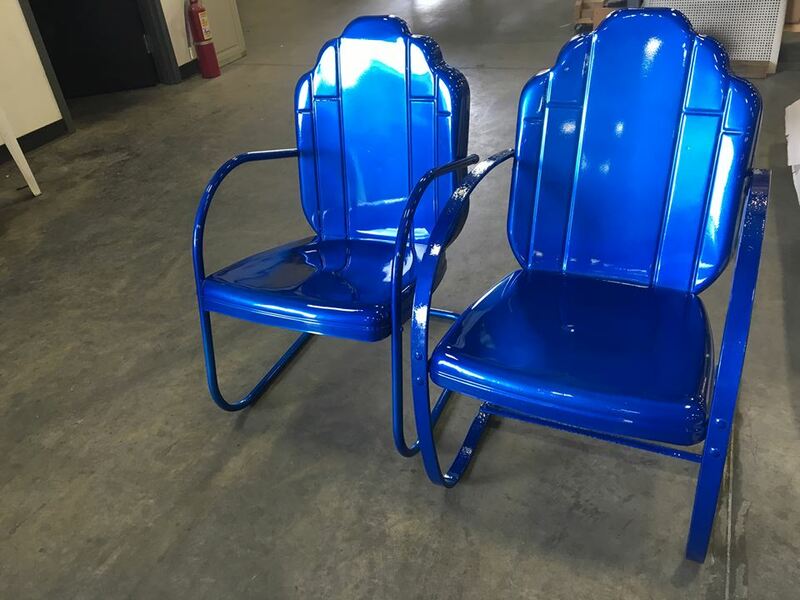 At Hanover powder coating, we can bake that old finish off, sandblast the parts and powder coat them to an extremely durable finish that will last you for years to come. Having your Patio Furniture restored can be way more cost effective than you might imagine. Want to find out what it will cost to refinish your furniture? Click the button below to get a free estimate. Click For Free Patio Furniture Quote!